A month ago people at Runescape called about the community for his or her questions and feedback in regards to the game. Now they've posted the most recent round of responses to those questions. Q) Dark armor14 - Do you think you're intending on making any more changes to Summoning? I'd really like to view very popular combat places just like the lesser pit in Karamja Volcano, Brimhaven Dungeon and also other single-way combat areas offered to familiars, when i feel the combat element of the skill is grossly neglected. A) Paul - I'd also want to view the combat familiars able to be found in more areas. Allowing familiars to fight in one-way area has some technical difficulties, though. 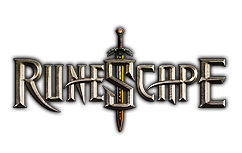 Switching some areas from single-way combat to multicombat is a possibility, but would have a number of other gameplay side-effects for example making areas more dangerous.RuneScape gold. Since Summoning, many of the new monster training areas are multicombat training areas which can be well suited for bringing familiars. We plan to continue on this vein and add more such training areas. Mod Mark – That will have adding new and interesting ways of getting charms, just like the recent Soul Wars minigame. Q) Acejesse13 - Almost all of the skills end at lower levels than 99, as there are certainly not any point to raise them any higher. Mod Mark – Paul's right – most of us dream of each day where when Time passes up a level I buy new things and exciting I could do, rather than just doing something better.